Driving under the influence is a serious crime in the state of Florida, and should not be taken lightly. Even if a DUI is your first offense, you could still suffer repercussions for your actions. The majority of first time DUI offenders receive some kind of charge, and if this happens to you, you may have a difficult time finding and holding a job due to your record. The most common conviction for first time offenders is a misdemeanor DUI, however, there is a slight chance you could walk away with an even lesser charge of reckless driving. The most common penalties for these offenses include court-ordered fines, alcohol education or treatment, and license suspension and/or restriction. You could also see your car insurance skyrocket following a conviction. Very few first time DUI offenders are given jail time for their crime. 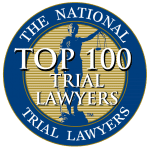 Having a qualified legal professional represent you in a first time DUI case could greatly increase your chances at receiving a lesser conviction with minimal penalties. The criminal defense attorneys at Perez LaSure Law are dedicated to providing only the strongest legal defense, and will work tirelessly to ensure your chances at receiving a favorable outcome are high. It takes a lot of skill to convince a court that you are deserving of minimal punishment, and there is no guarantee that you alone will be able to successfully plead your case. If you are facing first time DUI charges, contact us to schedule a consultation to discuss your legal options.